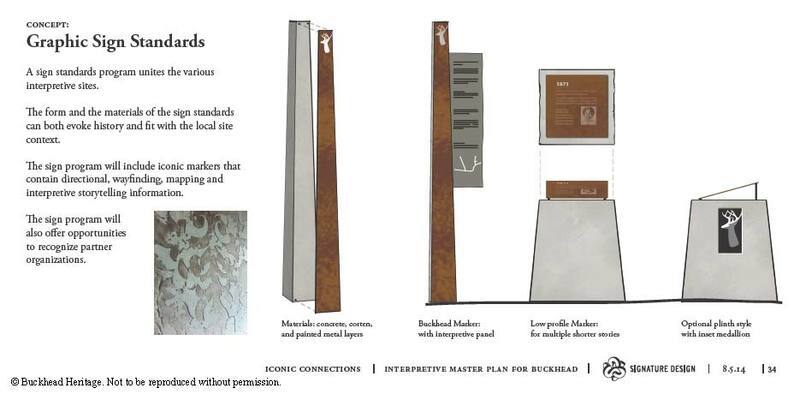 The following concepts were developed in 2014 as part of Buckhead Heritage’s Interpretive Master Plan for Buckhead. 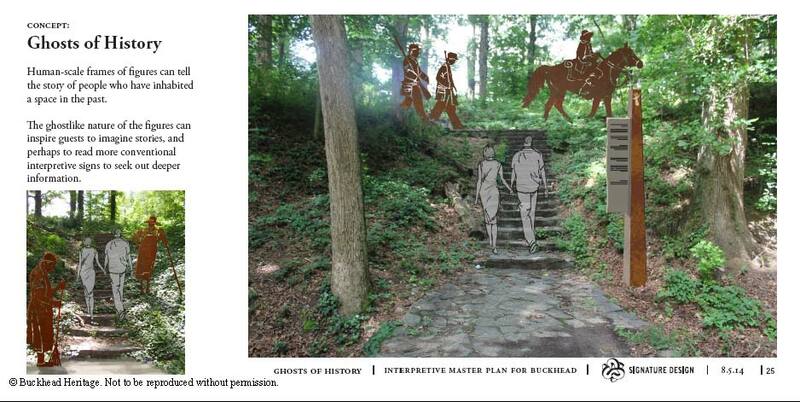 The innovative strategies for incorporating historic interpretation into Buckhead’s parks and urban plazas were developed by Signature Design with input from a 28-member Steering Committee composed of representatives from organizations in Buckhead, like Buckhead Heritage and Livable Buckhead, as well as citywide organizations, like the Atlanta History Center, the Atlanta Urban Design Commission, the City of Atlanta Department of Parks and Recreation, and the Atlanta Regional Commission. 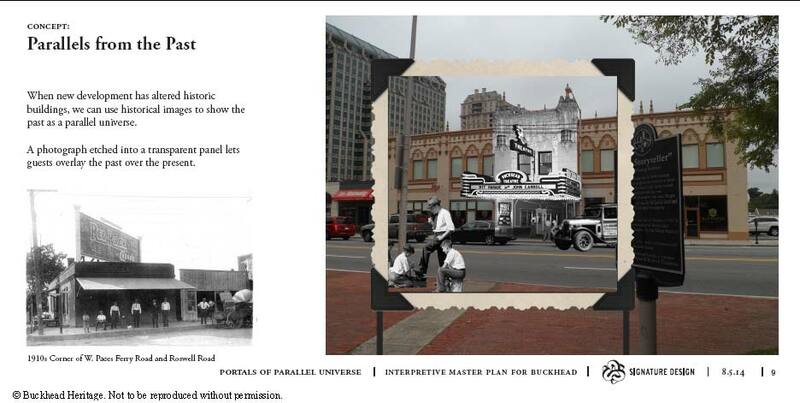 For more information, read our press release from August 27, 2014.